Three juice shops in Kathmandu faced penalty for throwing garbage recklessly on the streets. The Kathmandu Metropolitan City (KMC) has slapped a fine of Rs. 5,000 each from three juice shops after the shopkeepers were caught red handed littering the streets. The Waste Management Act 2011 stipulates a fine of Rs. 500-Rs. 100,000 and a jail term of 15 days to three months to offenders. But, the municipalities have not been able to take stern action against the offenders. Probably, this is the first time when the KMC has fined three shops for littering after the implementation of the Waste Management Act 2011. This fine will certainly convey a message to those who are habituated to littering public places and major road intersections. Just by imposing fine on three offenders and believing that this will make the people abide by the law, the KMC should not remain quiet or make this a one time event. It should strictly and regularly carry out its monitoring activities and take stern action against the offenders. Other municipalities in the Kathmandu Valley should also follow the KMC and start taking action against the offenders. Similarly, the municipalities must make their monitoring mechanism active and effective. This will help to maintain cleanliness and beauty of the cities. Kathmandu: The government has transferred ‘controversial’ executive chief of the Kathmandu Metropolitan City to the Ministry of Home Affairs. Executive Chief of KMC Ganesh Rai, who was widely crticised for his involvement in irregular activities and misusing funds of the civic body during his two-year assignment, has been transferred to the Ministry of Home Affairs. 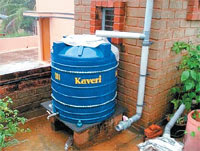 Kathmandu: Kathmandu Valley Water Supply Management Board (KVWSMB) has slapped a fine of Rs. 50,000 on Subha Home Housing Company for extracting and supplying polluted groundwater. A monitoring team consisting of representatives from KVWSMB and consumer welfare organizations found the company extracting and supplying untreated groundwater illegally. This made the KVWSMB to take a decision to impose a fine of Rs. 50,000 on the company. Kathmandu: The Asian Development Bank (ADB) has agreed to provide a loan assistance of Rs. 6.24 billion to Nepal for the implementation of the Kathmandu Valley Water Supply Improvement Project. The agreement was signed between Finance Secretary Hari Banskota and Country Director of ADB, Nepal Resident Mission Barry Hitchcock on behalf of the government of Nepal and ADB respectively. Kathmandu: The Kathmandu Metropolitan City (KMC) has swung into action and started taking action against those who litter the streets. In the last two days, the civic body’s monitoring teams found three shops — Sanjeev Juice Shop at the Kathmandu Mall, Manakaman Juice Shop in Kalimati and a Thapathali-based juice shop — throwing garbage on the streets and fined them Rs. 5,000 each, according to Rabin Man Shrestha, deputy chief at the KMC’s Environment Management Department. Kathmandu: Kathmandu Metropolitan City had launched an ambitious proposal through Kathmandu Declaration-2011 in July to beautify the Capital city, but lack of coordination among different executive departments is taking KMC nowhere. The declaration has it that KMC will endorse a five-year integrated master plan to construct new fun parks and maintain greenery in public places and near water bodies. However, its environment division is still unaware of its roles to implement the declaration. Kathmandu: The Kathmandu Metropolitan City (KMC) plans to launch projects to control river pollution in the Kathmandu Valley in the next two months. The Environment Division of the KMC plans to launch Water Treatment and Recycling Project for Bagmati and Bishnumati rivers. KMC will conduct a survey and launch an awareness programme at the local level for maximum public participation in the project. Kathmandu: Melamchi Water Supply Project is all set to conduct study of Yangri and Larke Rivers as per its plan to bring additional 340 million litres of water per day from the Yangri and Larke Rivers in the second phase. The project is preparing to publish a notice soon for appointing a consultant for conducting the survey of Yangri and Larke. Kathmandu: It’s a perennial bitter pill to swallow for Kathmanduites. Kathmandu Valley, which has an average annual rainfall nearly double than the world’s, is still going thirsty. The present average water supply of 119.2 million litres a day in the valley has forced people to take up extreme measures to ease their water woes. Deep tube wells, boring facilities, hand pumps and wells can be found elsewhere, leading to the fast depletion of ground water table. Dhading: Chepang community residing at Madadevsthan VDC of Dhading has been facilitated with water storage tank. The community was facing water shortage for a long time. The District Development Committee Dhading and Shanti Nepal jointly distributed 25 water storage tanks, each having the capacity of storing one thousand litres of water. Dadeldhura: Every year, various national and international organisations spend around Rs 1 billion on drinking water and sanitation programmes in seven hill districts of the Far West. A portion of the fund is used in toilet construction to discourage open defecation. A study conducted by the Far-Western Regional Health Directorate, however, shows that open defecation is still rampant in the hill districts of the region. Sindhuli: The locals of Kalpabrikchha VDC, who were compelled to spend hours to get a bucketful of water, are delighted after the construction of water project in their own village. According to the project construction consumer committee, the construction of the project worth Rs. 700,000 was made possible by financial help from different organizations and a generous cash collection from the locals. Taulihawa: Lack of waste and sewage management has turned the four-decade-old municipality into a stinking city. Pedestrians have to cover their nose while walking on the streets of Taulihawa, headquarters of Kapilvastu due to non management of waste and lack of sanitation. Locals complain that they have to bear intolerable stench at Chowkbazaar, Mal Tole, Kahar Tole and Shiv Mandir Tole. Bangalore, India: Commercial use of groundwater, especially in Bangalore Urban, Bangalore Rural, Kolar and Chikkaballapur districts, will soon become a costly affair. The state government is contemplating imposing a flat rate of INRs 30 to 40 a kilo litre of ground water extracted for commercial purposes by metering the extraction. In the draft rules framed to implement the Karnataka Ground Water (Regulation and Control of Development and Management) Act, 2011, the Mines and Geology department has proposed the government to introduce the tariff only in the over-exploited areas of the State. Karachi, Pakistan: Lacking a solid waste management policy (SWMP) for the metropolis is the mother of all the evils that have ruined city's environment. Even today, clean air and clean potable water, a basic necessity for normal growth of around three percent of total population, children up to age 5, is not available and whatever is available is packed with filth and pollutants. 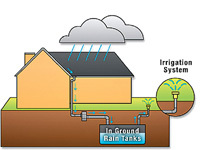 Bangalore, India: Rainwater, along with treated sewage water, when utilised properly, can meet the water requirement of nearly 50 lakh people in the City, said K C Subhash Chandra, former senior geologist, Mines and Geology Department. He was delivering a lecture on ‘Demand, resource availability and status of drinking water supply to mega city like Bangalore,’ at the Geological Society of India here on Wednesday. Waste segregation is an important component of waste management. The move by the Kathmandu Metropolitan City (KMC) to enforce segregation of organic and non-organic waste in the homes is laudable. It is reported that waste will not be collected from those homes that don’t segregate it and action is to be taken against people who throw garbage recklessly without segregating them. Groundwater level has declined in different regions, including Dhaka and its surrounding areas, and south-western districts of the country, thanks to excessive and unplanned extraction of groundwater for irrigation and other purposes. This is indeed a matter of concern for ecology and agriculture sector. Kathmandu: What to do by collecting four kilo grams of kitchen waste every morning and evening? That's the question Suman Dhakal and his family found themselves asking around two months ago when contemplating how to best manage their household waste. Thanks to the biogas plant they constructed in their house, degradable waste management is no longer a problem for the family as it used be earlier.